Our first meal from our meat CSA was simple but delicious. It even earned the above accolade from Steve. Obviously it was burgers. I shaped four thick patties from one pound of the ground beef. 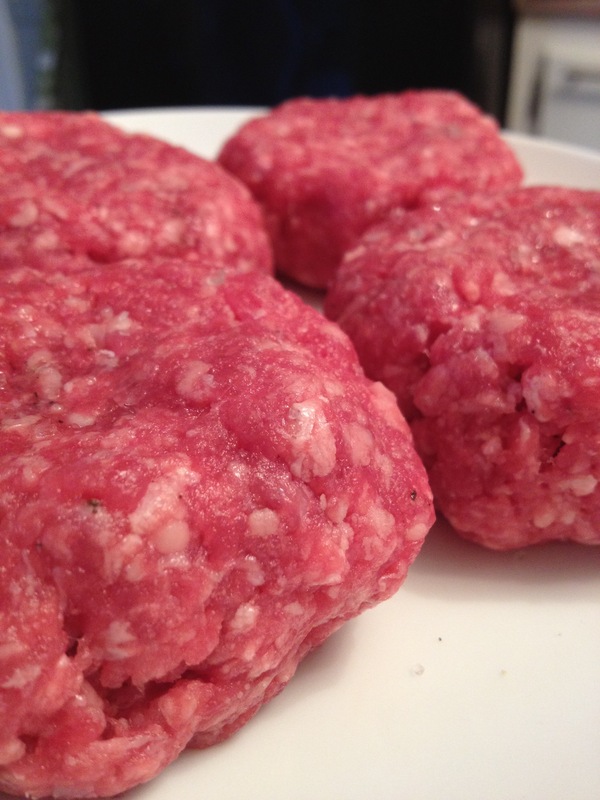 I’m sure that if you’re reading this, you must be the kind of person who can appreciate a close up of ground beef. The fat content was perfect, evident before I ever took a bite. 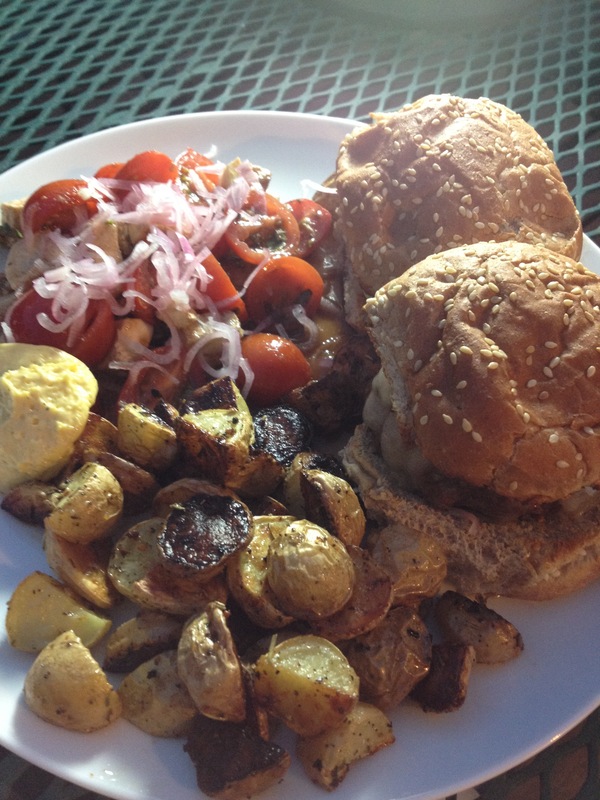 We grilled them up with my new favorite-for-burgers cheese, the yogurt cheese from Trader Joe’s, and served them up with some tomato and mozzarella salad and oven roasted baby potatoes. Our first candle Coleman camp lantern lit meal of the summer really warm late May was divine. I love how the lantern looks like it is casting ethereal beams on a perfect meal. Might as well. Those burgers *were* the best we’d ever eaten (note: try as we might, neither one up us had room for the second burgers last night, so they became a late Sunday breakfast!). 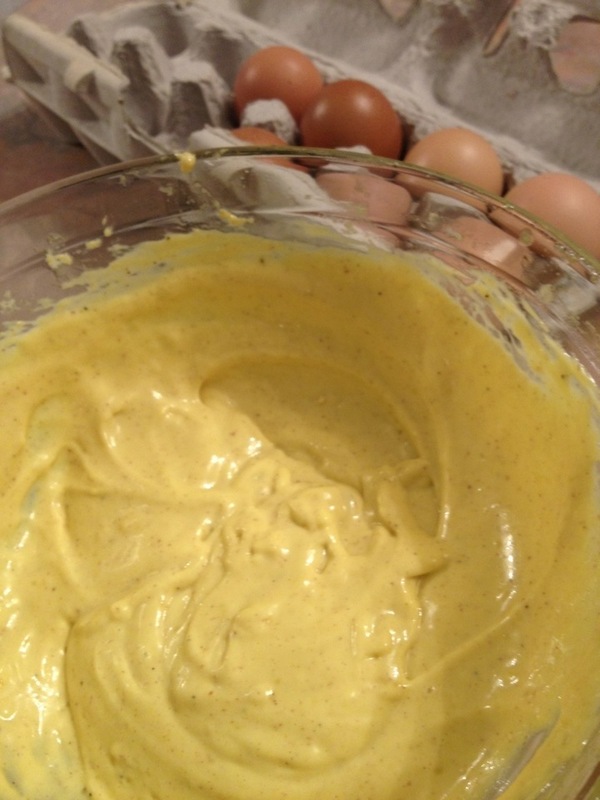 It didn’t hurt that they were slathered with my homemade aioli from the Pat’s Pastured eggs! 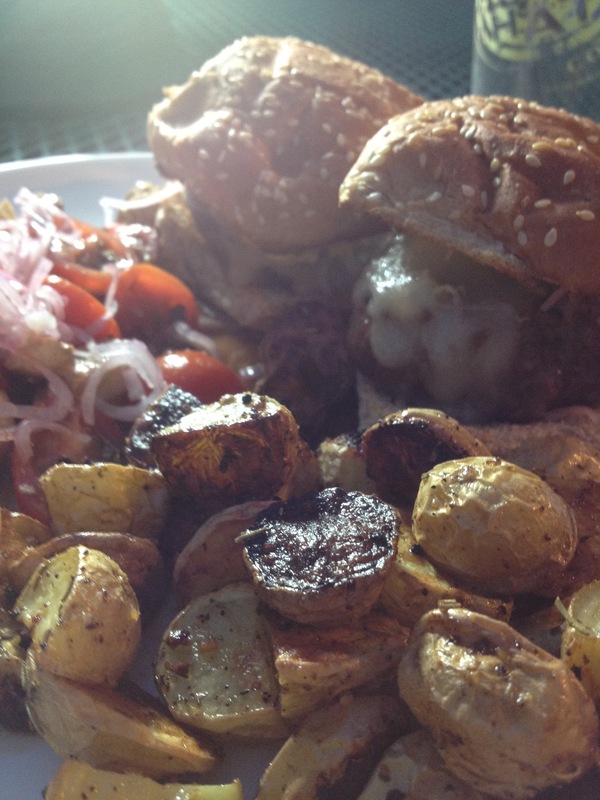 I always end up doing a “local roundup” for every meal like this, highlighting the local stuff and from whence it came. So, here’s this meal’s local roundup. I wish I could say that more came from around here and not Trader Joe’s, but a lot of our produce (ie, tomatoes) aren’t ready yet unless you grow it at home (which we don’t….yet). I was happy not knowing this existed. Now I feel I’ll never be happy again.